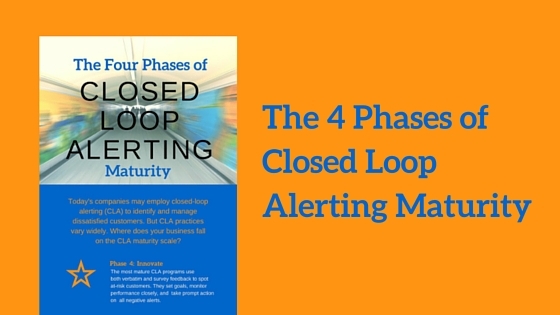 This post is part one of a two-part series on closed loop alerting (CLA) maturity. Now that 2016 is underway, many companies have embarked on a new set of annual strategic goals. And for many, CX is a top-of-mind issue. In fact, Gartner has projected that almost 90% of companies will compete on customer experience this year. Other sobering stats paint a clear picture of why investing in CX is critical for every brand. According to research from the American Customer Satisfaction Index (ACSI), 2015 was a tough year for customer satisfaction. 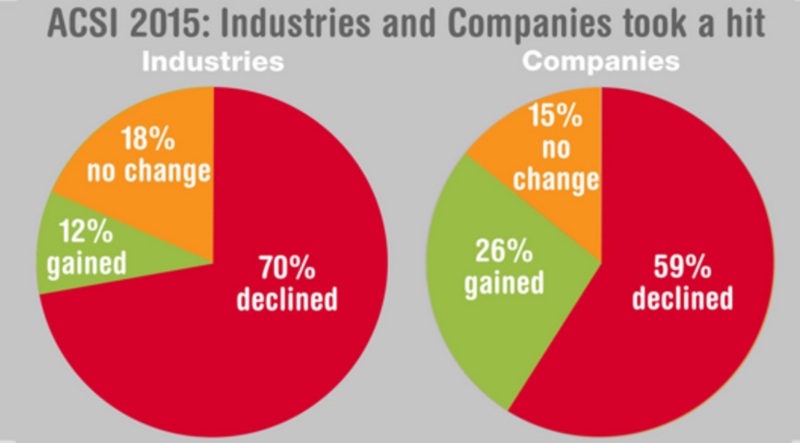 Among the 43 industries ACSI tracks, 30 saw customer satisfaction decline and three saw improvements, while the rest remained stable. 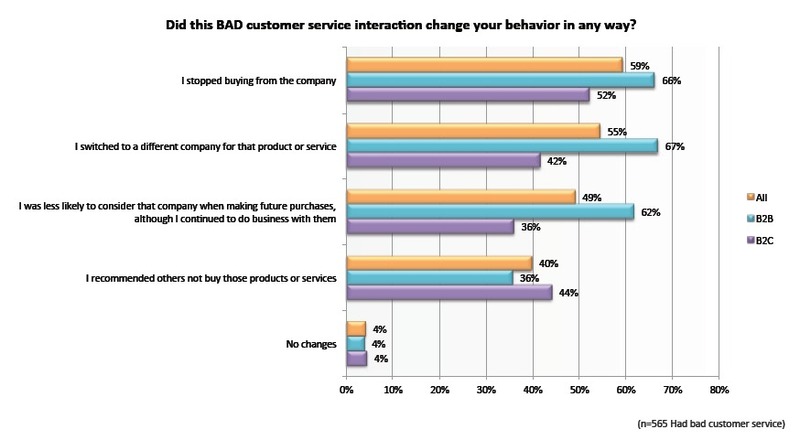 Nearly 60% of companies also experienced drops in customer satisfaction. The takeaway: both B2B and B2C customers are likely to stop buying, switch to a different company, and tell others about their experience after a single subpar customer service interaction. Armed with this knowledge, making customers happier is clearly an important priority. But how can companies do that? The true key to delivering better quality experiences requires companies to traverse difficult territory. They must take action to identify dissatisfied customers and resolve their concerns quickly. Many companies have made progress by implementing survey technology that allows them to capture customer feedback after each interaction. However, companies need to go a step further and adopt closed loop alerting (CLA) tools that distribute alerts any time any customer leaves a negative survey response. However, CLA technology is just one piece of the puzzle. Companies also need the expertise and processes to advance their CLA practices and improve management of dissatisfied customers. Businesses that are serious about achieving CX excellence need to know the four stages of CLA maturity. With this insight, they can prioritize activities that will help them improve their CLA practices and deliver higher-quality customer experiences. In the first phase companies are collecting feedback via post-interaction surveys, but performing very limited follow-up with dissatisfied customers. At this level, companies have begun to implement CLA, but alert follow-up is not yet a corporate priority. CLA activities are not consistent across the enterprise. These organizations have institutionalized CLA and make front-line teams—most often managers—responsible for resolving customer issues. While they follow-up on alerts, these companies do not closely monitor and manage alert follow-up over time. Companies in Phase IV also incorporate negative verbatims–instances where customers provide negative feedback via their negative written or spoken work–into their CLA process. Front-line employees follow up with customers to address issues. This quick review can help organizations spot where their CLA currently programs fall—and where they need to be. In part II of our series on CLA maturity, provide more details on each phase, along with insights on how to advance CLA maturity.